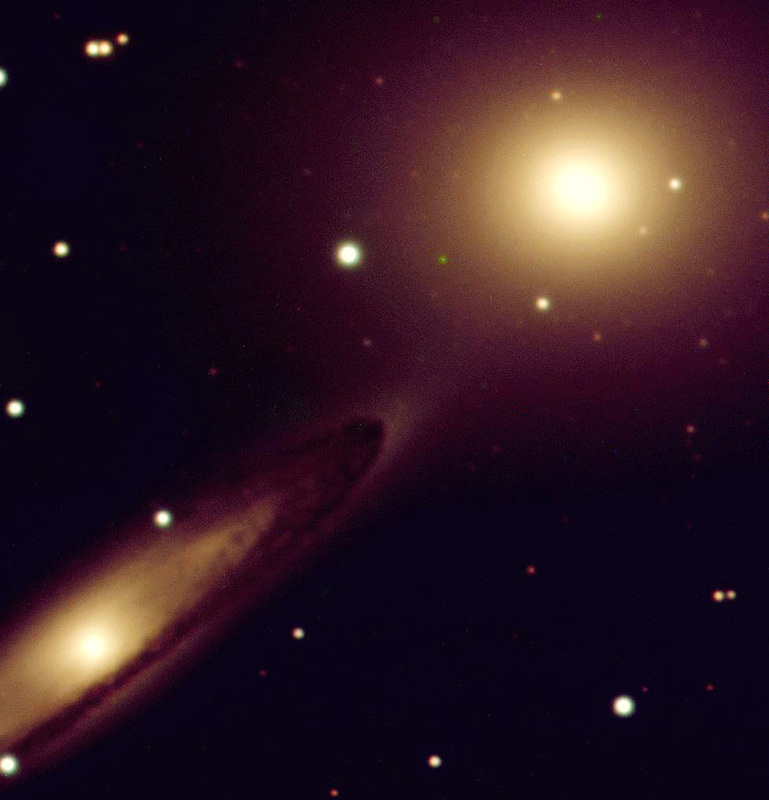 This is a close-up view of the double galaxy NGC 5090 (right) and NGC 5091 (left), in the southern constellation Centaurus. 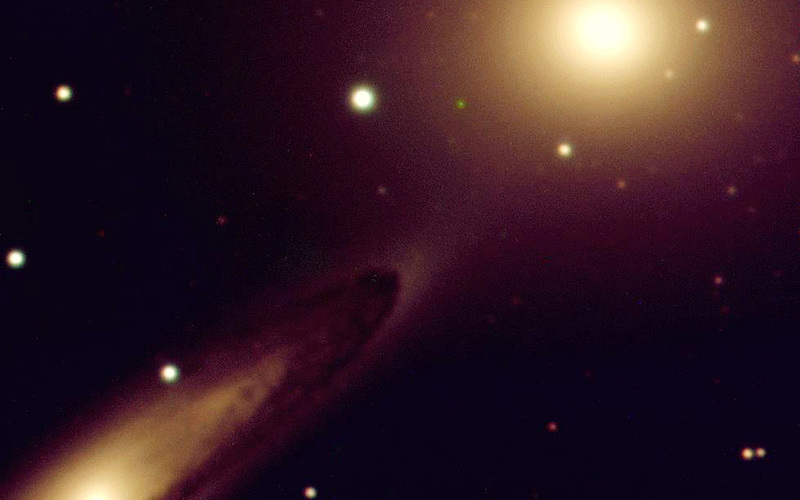 The first is a typical S0 galaxy with a bright diffuse centre, surrounded by a fainter envelope of stars (not resolved in this picture). However, some of the starlike objects seen in this region may be globular clusters (or dwarf galaxies) in orbit around NGC 5090. 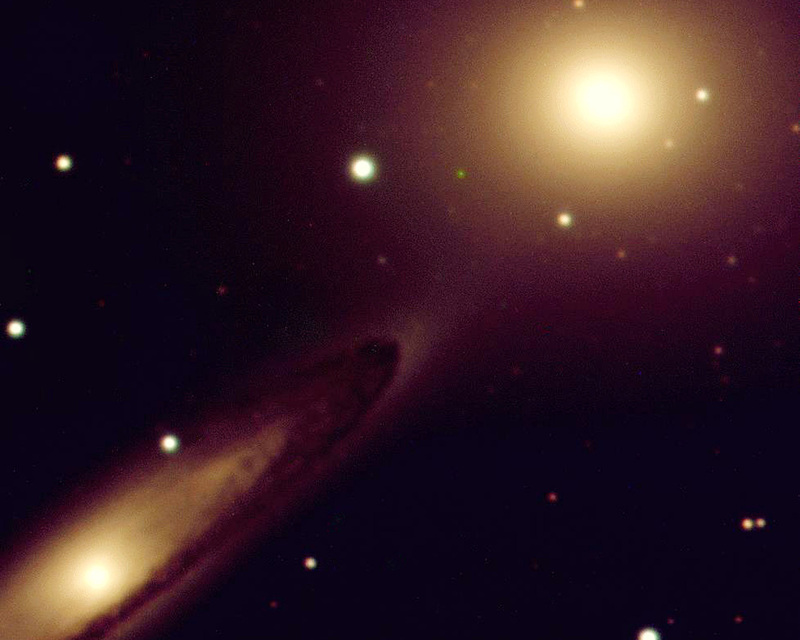 The other galaxy is of type Sa (the spiral structure is more developed) and is seen at a steep angle. 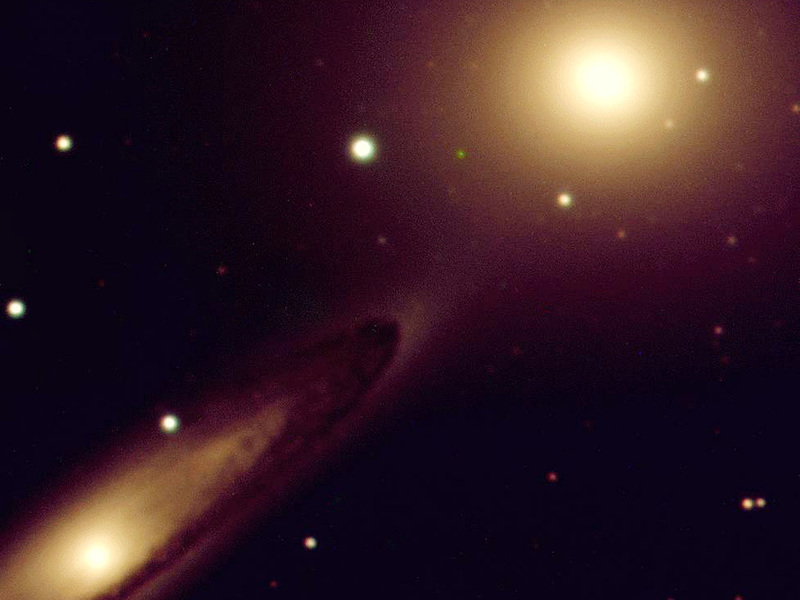 The three-colour composite is based on frames obtained with KUEYEN on March 29, 1999, with the same filters and exposure times as used for ESO Press Photo eso9923. The image quality is 0.7 arcsec and the field is 90 x 90 arcsec 2. North is up and East is left. Position (Dec): -43° 42' 17.02"